No need for so many separate threads anymore. Let's consolidate all 2018 Rookie talk here. 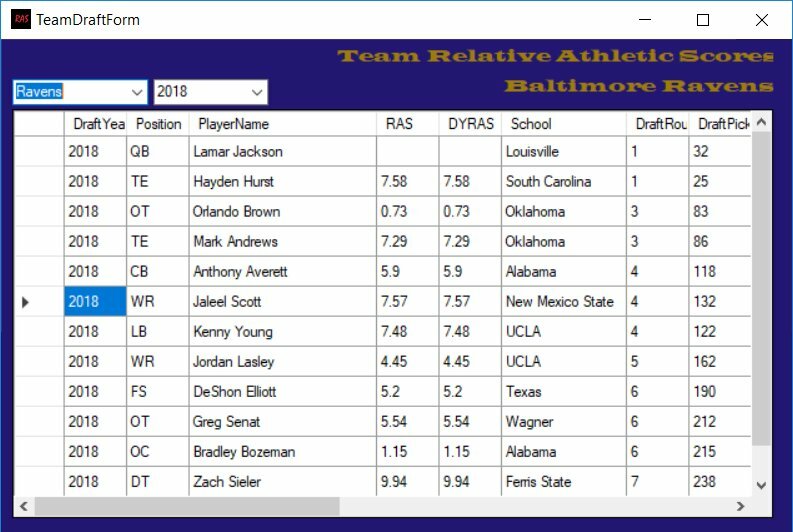 "None of the Ravens seven draft picks rated below 6.00 RAS. All five of their elite RAS players rated in the top 7 of their position in 2017. Chris Wormley, I should note, showed as a DE in the draft but his measurements were as a defensive tackle, where he rated as one of the top athletes in this class. The Ravens are known to seek out the best athletes and they did so in the 2017 draft in spades. While not shown here, the Ravens also had the most athletic UDFA class of the 2017 season, showing the level of focus it is for them as a team." With last year's draft class being far and away the most athletic across the league, and I don't think by accident. It's a bit surprising just how different our 2018 draft class stacks up comparatively. We went from a draft class of 7 with 5 players of those 7 being Elite athletes. To a draft class of 12 with only 1, Zach Sieler, qualifying as Elite. If nothing else it shows how flexible the importance our FO places on athletic analytics can be. *Though if Lamar Jackson had tested, no doubt he would've been classified Elite as well. We still added quite a few plus athletes but clearly with more picks at our disposal the FO was willing and eager to nab a few highly touted prospects falling in the draft primarily because of poor athletic testing. The big 3 that were products of this strategy were Brown, Lasley, and Elliot. Bozeman was a 4th and certainly was undervalued, but wasn't projected as high as the other 3 to begin with. Orlando Brown Jr- His tape was fine but his testing was abysmal. My issue with the testing was from an ethic perspective, I felt it showed he didn't put his all into preparing for the biggest audition of his life. Which I think was a correct assumption when comparing his pro day numbers to his combine numbers, which improved a little beyond normal pro day boosts. I never believed he would be ineffective as a player and obviously neither did the FO, that would've been foolish. Clearly Orlando is worth more to this team than any other in the league with his familial bonds factored, and the FO was happy to pick a high talent, tape proven player that could easily outperform his draft position. Brown Jr. is like a Nose Tackle at the OT position, NTs never have high RAS scores, and unlike NTs he won't have to leave the field. Only being able to occupy a man with sheer size is a plus at the OT position. It was a smart pick. Jordan Lasley- Las is in the running for funniest player on the team. This dude is a character and of course one of the most dominating WRs from college football would put up a below average RAS score. It's just such a Jordan Lasley thing to do lol. He came into the draft as a 2nd round, borderline 1st round WR prospect based on talent and performance but blew up his stock with poor testing and off the field issues. Athleticism is in no way an issue for Lasley and he's truly a case of just not testing well but still being a great player. This discrepancy isn't uncommon at his position either. This was a low risk high reward pick from the FO and one that netted us the best receiving prospect this team has seen imo ever. Lasley is bulletproof mentally. His production is off the charts, dropping 69 rec-1,264 yards-9 tds in 9 games. The FO stole Las, and as he put it to Ozzie in the most Las way possible, he's gonna be "The League's next F$CK UP". DeShon Elliot- Elliot was up there with some of the most disrespected players in the class. People were going out of their way to discredit his production and mock his athleticism. He isn't a great athlete but he also isn't a bad one, he's a little above average and that's fine. Elliot is a proven force against ball carriers with multiple KO hits on his resume and an educated approach to tackling. He was never a liability in coverage from anywhere he lined up and the criticism that he "lucked" into production is just aggravating. 105 Tackles, 2.5 Sacks, 9 INT for 156 yards 2TDs, 3 FF and 3 FR, with only 13 starts..... is a lot of production to "luck" into. Elliot was essentially punished because people turned on the film and saw "Weddle" picks and not "Reed" picks. Fine, we'll take him. Another home run by the FO, who add a disrespected and hungry 21 year old beast to a room full of talented veterans. I'm all for the team pursuing higher probability hits on picks by pursuing better athletes, but I'm also for them understanding a special situation when they see one and acting on it. I can't wait to see the returns on this class and the continued returns of the the previous class. Never heard of RAS before but I wonder if there's ever been a lower score by a drafted player than Zeus Jr's? Sure. Jamarco Jones off hand I remembered being bad, and after looking it up he had a RAS of 0.54. Lamar's outrageous comments continue..... someone needs to reel him in. With the 1st week containing real practices down, I've decided to drop the first of my Rookie Rankings. Who's building a resume, who's gaining momentum, who's stealing the praise? Where you at bro? Where is "Garnet Thor".....? "Soft Tissue" is becoming the "Gucci Gang" of our season. It just started and it's already been said infinitely too much. It's just disappointing that our starting TE is already missing the start of real practices. He was living up to his 1st round billing during OTAs and Rookie camp. With his sticky hands impressing everyone, but you can't impress anyone when you aren't around. I'm all for playing it safe with key players but that doesn't mean having to do so isn't a big let down. 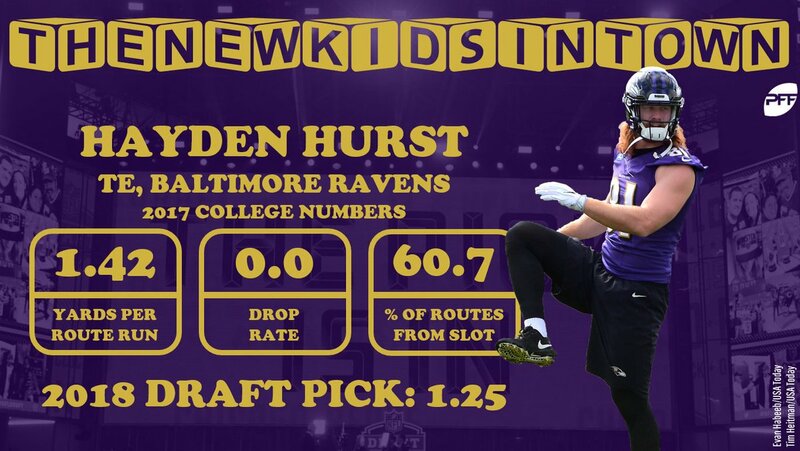 Hayden Hurst has no competition, but he will be playing catch up even if it's too a small degree. We all want as much chemistry building time for he and Flacco as possible and already we're a couple opportunities down. Like Hurst, Mark Andrews has played fine but not enough. Andrews and Hurst are soft players despite what their builds might indicate, but rest assured these "soft tissue" aches won't be indulged during the Regular Season. For now it's fine, why risk anything too serious but even knowing that it's more than a little annoying the entirety of our young TE core has repeatedly been absent from the first real practices of the season. Andrews tops Hurst for less absences and reports of solid work with our QBs, when he's been present. 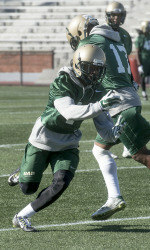 Boy did DeShon Elliot show up in every single practice notes article from every single site on Sunday. His big hits gave everyone something to write about and forced the fans who weren't in on Elliot to take notice. Elliot was hyped as a 1st-2nd round pick, but the uncertainty that overtook his draft stock was powerful. Resulting in an emotional breakdown by Elliot when we selected him in the 6th round. Those emotions have carried over to practice and he's playing with a fire. The big hits are great and a mainstay in Elliot's arsenal but the reports of strong man coverage against our TEs in drills solidify his spot on this list. Who is building a bigger fandom within a fandom than Jaelon Acklin? 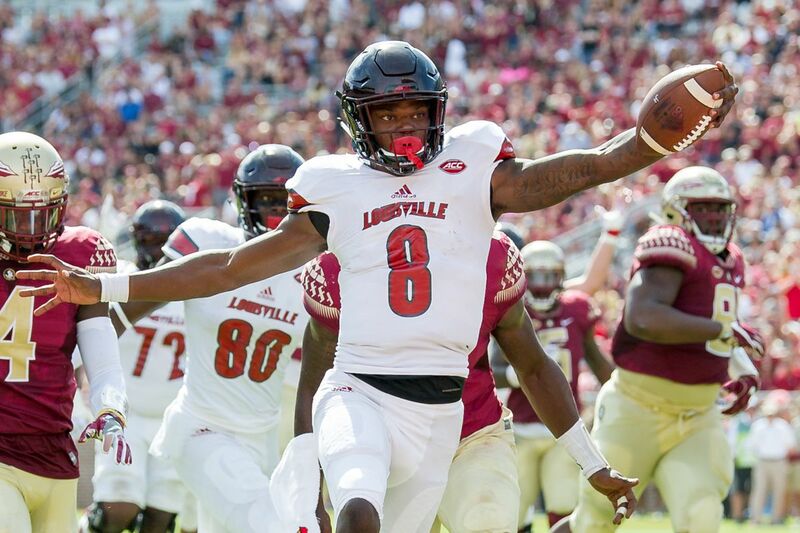 That's what two popular TD catch clips featuring Lamar Jackson will do for you, as will the positive performances he's been stringing together in practice. He's facing an uphill battle to make the roster, which is weird considering our history at receiver. With Tim White's special teams value and own ascending profile at receiver, not to mention his year head start with the team. It will be almost impossible to steal the theorized 7th spot from White. Special play can make special things happen though and Acklin shows no signs of slowing down. Darious Williams snuck up on us, but apparently was a diamond in the eye of many following the draft. Who were then shocked he didn't get selected, and obviously disappointed when he choose Baltimore. He proved the hype warranted quickly with attention grabbing play during OTAs and Rookie mini-camp. It carried over to last week's practices where he again stood out. Darious will get plenty of opportunities during preseason with the team not wanting to risk injury to their prized corners, and it's a smart bet that he shows out like so many of our recent corners have. It will be a difficult path to our roster for Williams, but he just might be up to the task. Las is who he is. We've seen the frustrations, we've seen the drops, but we've also seen the big plays. Just wait until we see him in games. Anyone who watched Lasley's season last year knows drops aren't an issue for him in games. Frustrations aren't aren't an issue for him in games either. Las is working through the kinks of adjusting to the NFL game and it's fun to watch and read about. Tavon Young working him, muffing three kickoffs, early drops in practice before settling in, all of it will make him better. Lasley is our first ever Diva at the position and Divas need their attention. To meet this goal they will obsess and work to overcome all obstacles between them and that attention. Lasley believes he's an all time great all ready and when he under performs, he doesn't shut down, he overreacts. The overreactions manifest as attention grabbing antics and then...obsessive work to improve. Lasley honestly doesn't believe he should ever be covered on any play, every play should be a touchdown for him. He's that crazy and I'll take that insane self belief over Perriman's hair trigger collapses of confidence any day. Las is a great player and of course after a highs and lows start, he finds himself firmly at number 5 on this list. Lamar is acing his entry into the league as rookie QB. He's winning the fans over, bonding with the incumbent starter, and showed up ready to work. The coaches have praised the strides he's made and the work ethic he carries with him. All eyes will be on him throughout the preseason, and he will have a lot of mobility as far as this list is concerned. It seems he's very much in the process of making RGIII an after thought for the coaches, assuring them he's a reliable option to win games despite his somewhat raw footwork in the pocket. Not that they ever doubted it of course, but making the most of extra reps has gone a long way for him. Just wait until the HOF game where he gets to run for real, it will be game over. There have been little mistakes here and there but nothing you can beat up on him for, his issues are just magnified as a QB. The arrow is facing the sun for our young future signal caller. It's obvious Brown Jr. is getting special attention in camp, he's frequently being pulled aside by coaches. This isn't a bad thing. They want him ready, because they want him to start. Besides Hayden Hurst, little Zeus is the only other rookie looking at a possible starter designation. He's running with the 1st team and we aren't hearing of any detrimental play. Orlando brings the eclipse to the right side of our line and he could end up being one of the most vital players on offense come regular season. Much like the top Rookie on this list, Jaleel Scott has done exactly what he was brought in and drafted to do. He has established himself as a giant downfield target and redzone weapon. He's moving the chains, is making big grabs, and turning targets into touchdowns. Scott isn't dropping the ball, and is becoming the most consistent of all the Rookie pass catchers. I'm happy for Jaleel who is putting a disappointing pre-draft process behind him and a bright pro career in front of him. If you think he's Tommy Streeter come again, get ready to be woefully wrong. Maybe this is surprising, but maybe it shouldn't be. Based on our recent success with corners and Averrett having come from College Football's biggest powerhouse. It seems only right his performances have been of such a high quality to start his pro career. Picking right up where Marlon left off as another rookie CB from Tuscaloosa donning the Black & Purple. Averett has been winning in situations that favor the offense and it's receivers, which is no easy feat this time of year. His mentality, technique, and athleticism have already been pointed out by onlookers and he's been performing better & better each time he takes the field. This number one billing will be hard to hold during preseason and impossible to hold during the regular season with so many talented corners in front of him on the depth chart, but for now the inaugural top spot is all his. I have not seen Bozeman mentionen yet, which is unfortunate. I hoped he had been more visible. Averett is a surprise to me, but nice to see him showing up. I feel he has a Lardarius Webb skillset. Brown might be the least interesting of the bunch, as his upside is the RT from the get go, while no one will be surprised if he start as a back up and we work him in. I hope he can get up to speed. I never understood the "diva" label that somehow allows players to be idiots and immature. Not saying that is the case with Lasley, but it seems there is some things with his character where he feels entitled, and if that is the case, I absolutely hate that. I can accept, that he might not never be the guy who is a beast at practice but is a player who shows up in games, but if it is a "I am too good to play special teams" or not trying to get the tackle when the ball is intercepted, that would piss me off as a teammate. Yea at this stage all I can do is draw conclusions based on what other people are saying, writing, reporting etc. We'll have a better idea of things once we can all watch the players during games. The only thing visible is what they make visible at this point. It's clear transitioning one of Siragusa or Collins, and giving Skura his shot are the main plans with center right now. I think this is true, Lasley is absolutely entitled. It's just his entitlement is a positive as it continues to push him towards becoming a better player. Like he feels he's entitled to personal greatness and success on every play, and when it doesn't come he gets upset. Which is why I classified it as an "insane self belief" which really isn't that far from entitlement in my opinion. Lasley has only returned 4 balls in his college career, I just don't think he's use to performing the task. Janarion Grant also muffed a ball and he's a specialist in the area. So while his disappointing results weren't ideal, it doesn't matter all that much. 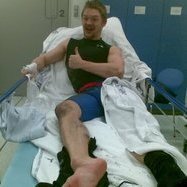 I was extremely thorough in following up on all of this and I found a podcast from some guys that attended practice and they talked about how Lasley dropped two balls to start the practice and then was good for the rest of the day. I ranked him 5 because, despite some down moments, his body of work to this point has been and continues to be impressive. Coming into last week he hadn't faced any adversity and was considered way ahead of Jaleel Scott. Then boom Jaleel starts really grabbing the attention with his standout play, and Lasley has a few miscues. Rookies and especially our rookie receivers are going to have up and down moments. I want Lasley to face some adversity though, like Tavon shutting him down or dropping a couple. It will force growth like most defeats do for great players. I've listened to his college coach Jim Mora talk about how hard Lasley works to overcome any sort of adversity and obstacle, it's impressive. He's trying to become Jerry Rice, and he understands the level of work and dedication he has to put in to accomplish that goal. However he is overly emotional, so you'll get things like him not finishing a drill etc. Like I said though, I'm glad this is happening now and he's forced to grow sooner. It wouldn't be good if he had smooth sailing and went unchecked for too long. Just as it wouldn't be good for any rookie. Like today, Anthony Averett gave up a TD to Crabtree. Now he'll have to analyze why that happened and improve his skill set even more to prevent it from happening again. Lasley is an immense talent and while I think his "off field" issues are overblown, immaturity is an issue and clearly he fell in the draft due in part to just that. Luckily we have a team full of veterans and coaches that will show him the right path, and the right attitude to carry. Just as Jimmy did when he pulled Lasley aside. You're right though, that kind of stuff can wear on teammates if it becomes a pattern, but I don't in any way anticipate that happening. I very much agree with you here. My preservation (don't know if that's the right word to use) is also somewhat based on my personal experience, where those types rarely were worth the trouble. Yes we got the crazy highlight plays on my team, but also a player who would wiff on tackles on purpose to not get hurt, or would throw tantrums despite the team doing great, but the player wasn't happy with the amount of blitzes getting called, coverage, run/pass plays etc. Again, I hope I am jumping the gun and Lasley can mature (I also learned after the draft, that the issue was the pattern of behavior more than what he actually did), and that he will learn and have the Steve Smith character. At worst we would be looking at a Marcus Peters situation, where such a good player is thrown away for scraps because of how big an idiot he is and locker room cancer. I love the metric, but I think Anthony Averett's total athleticism is underrated somewhat because of it. This isn't a criticism of the metric, rather, a recognition of what it is and is not. The reason it correlates so well for DE and RB production is that those are positions super reliant on H/W/S/explosion as a combination. Averett is dinged because he is so skinny. But he's got good length and blazing speed. For a corner, I feel really good about his athletic profile, even if he may need to bulk up a bit. no mention of Kenny Young, new starter next to Mosley? after the first week if camp it sounds like he makes Peanut an afterthought. or at least a VERY hard time to hold his starting position over him.